Many of the streets in Reservoir Hill are linked to prominent families who settled here and built elaborate estates and gardens. In the late 1700s Charles Carroll of Carrollton, Maryland’s representative at the Continental Congress and signer of the Declaration of Independence, owned about 1,000 acres of land, some of which covers the Reservoir Hill area. Carroll sold Mount Royal, a subdivision of his estate, to Dr. Solomon Birckhead. Dr. Birckhead’s wife was Jane McCulloh whose brother, Hugh McCulloh, owned a large estate southwest of Mount Royal at what is today Lafayette Avenue and McCulloh Street. Robert Whitelock, to whom Whitelock Street owes its existence, also bought land in Mount Royal. Enoch Pratt Carroll, namesake of Baltimore’s Enoch Pratt free library system, also bought land here. He owned a woodland area know as Callow Grove, a famous picnic place with a spring located in what is now Bolton Street. In the 1840s newcomers to the growing industrial city began to migrate north in the direction of the Mount Royal area, which attracted the upper classes who constructed big three- and four-story houses and a number of expensive churches. It was about this time that Lloyd Rogers, owner of a vast estate to the northwest of Mount Royal, sold a part of his property known as Druid Hill to the City for $500,000 to be used as a public park. The property had previously been landscaped as a private garden and it was full of horse trails, natural lakes, elaborate fountains and pieces of sculpture. The park, a popular attraction for Baltimoreans today, contained a huge lake that is today Druid Hill Reservoir. The park acted as a magnet for residential development, and real estate developers bought up land and divided it into small parcels until only a few scattered estates were left. Streetcar lines were built, including a line connecting the Mount Royal area with the center of the city. The early 1900s ushered in booming industrial activity and hundreds of newcomers crowded the city, developing a great need for housing. Large townhouses with 10 or more rooms were subdivided into apartments while others were cleared to make room for grand high-rise structures such as the Riviera on Druid Lake Drive, as well as the Emersonian on Eutaw Place and Druid Lake Drive. Today, Reservoir Hill attracts renovators who aspire to convert apartment buildings into the glorious mansion houses of yore. Washington DC transplants have made Reservoir Hill home, as the large townhouses here rival DC’s grand homes at a fraction of the cost, and the neighborhood is a short drive to the MARC station, which zips to DC’s Union Station. Just like their predecessors, new residents take pride in cultivating community gardens and boast their green spaces at the annual garden tour. Druid Hill Park remains a destination and is the home of The Maryland Zoo. Reservoir Hill is sandwiched between the Midtown and Mondawmin neighborhoods, providing easy access to nightlife, restaurants, cultural amenities, transportation and shopping. 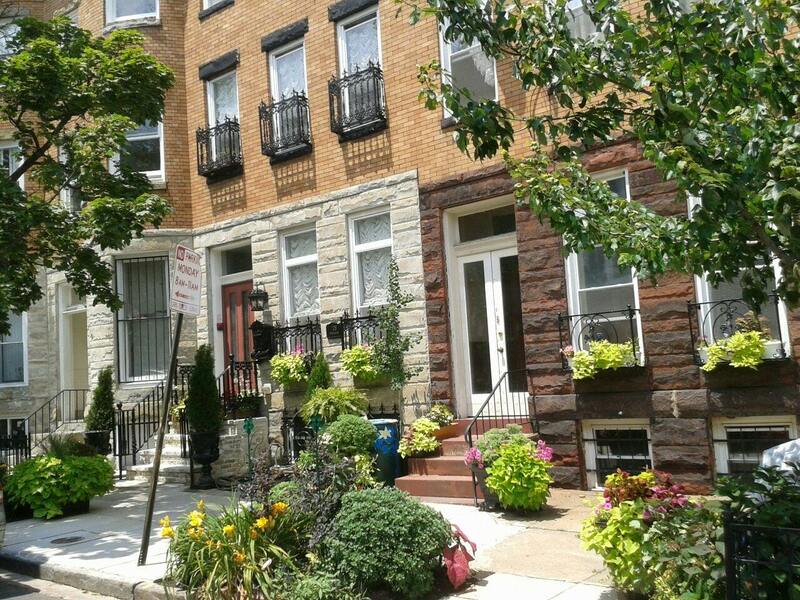 The Reservoir Hill Improvement Council maintains the historic and cultural integrity of Reservoir Hill through home buying and renovating assistance, community improvement projects and greening and neighborhood fairs and events.